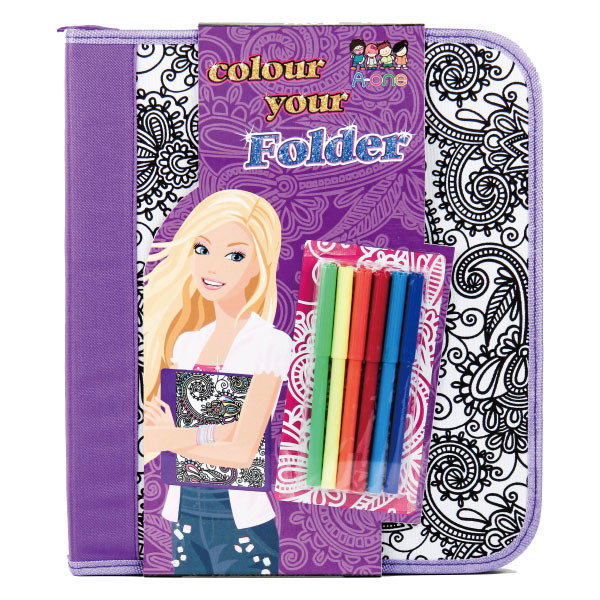 Customize your own stylish folder. Great to carry to school or for vacation. Includes a folder and 6 permanent markers. 600D polyester. PRODUCTS DESCRIPTION Fashions Your Color bags are a trendy and exciting way to show your style. It's stylish pattern can for you to color any way you want!